I strongly believe the Goods and Service Tax is a good idea. Yes, it will impact the poor more than the rich. Yes, it will cause the cost of living to increase at a time when most Malaysians are struggling to pay the bills. But the people who will suffer the most aren’t the poor, it’s the tax-evaders. 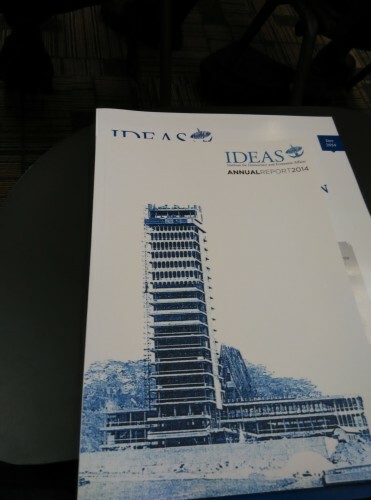 Tax evasion and illicit flows are a big problem for Malaysia, and the Goods and Service Tax is a straightforward and effective solution to that problem. GST is a closed loop sort of tax, which makes tax evasion much harder. So enough of the GST choir, I’m sure you don’t agree, but that’s fine. In this great country of ours there should be room for dissent, except with Maslan, cause he’s so smart he must be right. Let’s start with some basics on GST. 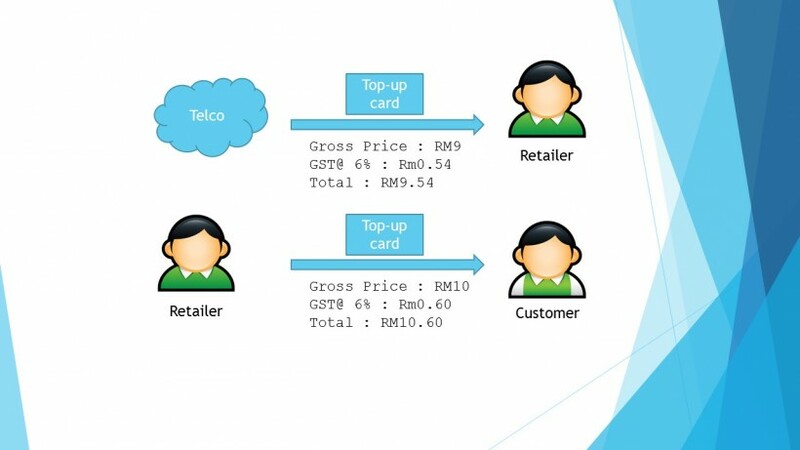 Imagine a top-up of RM10.Let’s assume that in a pre-GST Malaysia, the telco sold the top-up card to the retailer for RM9. The retailer sold it to the end customer for RM10, making a profit of RM1 per card. In a post-GST world, the telco still sells the top-up card to the retailer for Rm9, but now adds 6% GST, making the total sale price from Telco to Retailer RM9.54. This additional Rm0.54 is called the input tax. The retailer then sells the card to a customer at Rm10 plus 6% GST, making the final price Rm10.60. The additional Rm0.60 is called the output tax. Now here’s the bit many don’t understand, the retailer doesn’t pay Rm0.60 to the government (even though that’s what he charges you), rather the retailer pays his output – input, or Rm0.60 – Rm0.54 = Rm0.06 . His gross profit of Rm1.06 becomes of nett profit of Rm1.00 after you deduct GST, which is exactly the same profit he had pre-GST. The way this works is that the Telco pays Rm0.54 to the government (from their sale to the retailer), and the retailer then pays Rm0.06 to the government (from their sale to the customer). The end result is that the governments still gets Rm0.60 from the sale, but from two different entities at two different points of the supply chain. This all lines up nicely, the problem is that customers are now paying Rm10.60 instead of Rm10. Let’s call this the RM10-Gross Model.